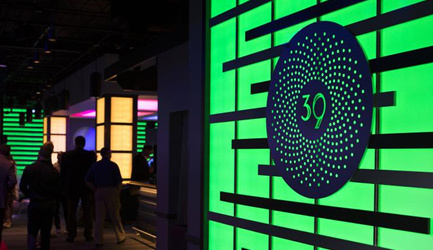 Lose yourself to the music, live the high life, and experience the extraordinary at 3NINE, Orlando’s premier event entertainment venue. Located in the Rosen Plaza Hotel on famous International Drive in Orlando, Florida, we look forward to becoming an immediate Orlando staple for both locals and travelers of the world. What sets 3NINE apart from other entertainment venues is our chef-inspired menu, high energy and enticing atmosphere, and the two full-service bars we offer both inside and out on our poolside patio. 3NINE was created in honor of Harry Rosenufsky, hotelier Harris Rosen’s grandfather. Harry migrated to the United States in search of making his dreams come true. Little did Harry know that the journey he set forth on would still be carried on today by his grandson Harris Rosen. When Harry Rosenufsky left Eastern Europe some years before the onset of WWI he came to Ellis Island with dreams of making a better life for himself and his family. He shortened his name to Harry Rosen and began his quest for the American Dream. He entered the restaurant industry and eventually had earned enough money to rent a small storefront, which he operated as his own little restaurant. Soon after he sent for his wife Cecilia and their four sons. In 1914 their first American-born son, Jack, entered the world. Jack grew up a very hard worker, taking after his father. As a young man he toured the U.S. on money he made from selling his original caricatures of people he had met in the places he visited. He later settled back down in New York to work in the Waldorf Astoria where he met many famous people, which allowed his hobby as a caricaturist to flourish. In 1939 he and his wife Lena, or “Red” as she was nicknamed for her bright red hair, had their first son Harris Rosen. It is said that Jack’s dream for his son was to one day become a successful IBM typewriter salesman—anything more would have been a fantasy. Today Harris Rosen owns and operates the largest independent chain of hotels in central Florida, a fact that if his father were around to see, would probably be regarded as fantasy becoming reality.